Very nice apartment. Perfect location - few steps from metro station. Fully equipped kitchen, so you can make proper breakfast in the morning. Host was very helpful and pleasant man. Cleaning lady was very nice too. Everything was more than expected! 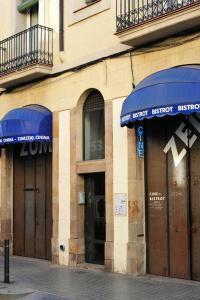 The location was great; only a few minutes to Plaza Espanya and the subway. So, you could easily access the city and of course the airport shuttle buses to/from Plaza Espanya was a big plus. In general the apartment is very good, it is close to the metro station, the kitchen has everything you need to cook you own meals and the bedroom has a nice closet with hangers. It was well cleaned when we arrived, and half way through the stay they changed the towels and bed sheets. Since I said that I was going with my two kids they added two extra beds for them and that was really nice. Great location 5 minute walk from metro station. The apartment was clean, tidy and spacious 2 bedroom suite with good facilities. 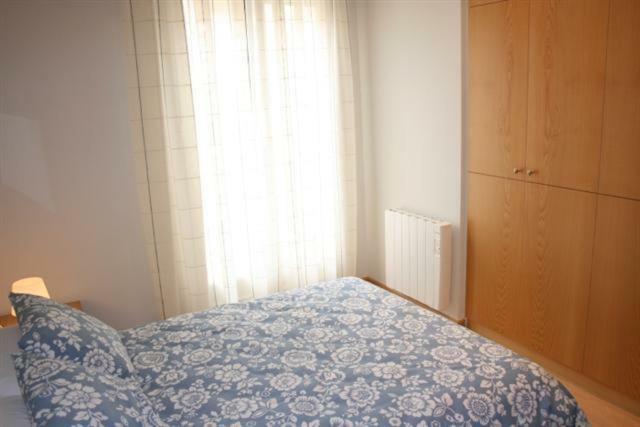 The apartment is very well located, just 5 min away walking from Plaza de España. The neighbourhood is very quiet and the apartment has been remodeled, so everything around the house is quite new. The location of the property is excellent. We had plenty hot water. Is very well equiped. Location - very near to metro stations. Walking distance to Placa de Espana (heart of town). There is a supermarket 3 min walking. And for muslim there is a halal food 3 mins walking. The apartment is clean. All basic need was provided and good for a short stay. One of our best sellers in Barcelona! 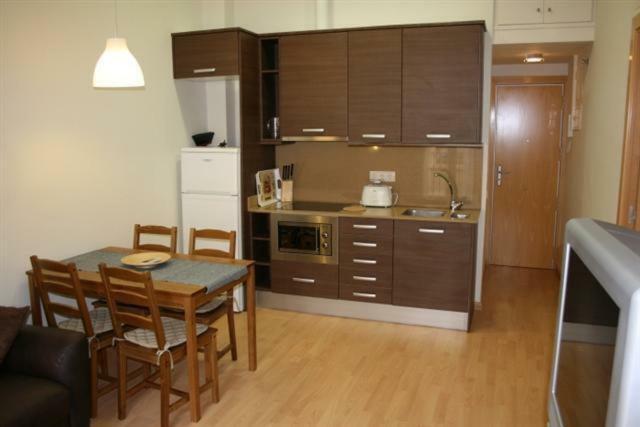 Apartamentos Bejar is located just a 5 minute walk from Barcelona’s Fira Exhibition Center and Sants Train Station. It offers air conditioned apartments with a private balcony and a modern kitchen. The Bejar apartments feature parquet floors and smart décor. Each one has a TV and the kitchens come with an oven, stove and coffee-maker. The apartments are a 10 minute walk from Montjüic Hill, where you can find the Joan Miró Museum. 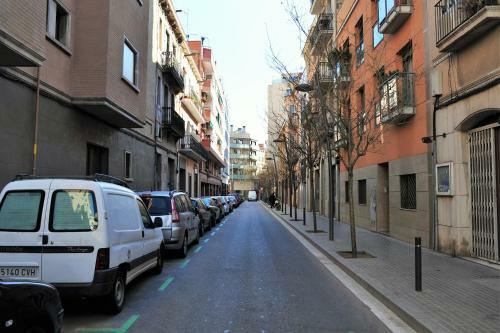 You can walk to Plaza Espanya and the Arenas Shopping Center in 5 minutes from the property. 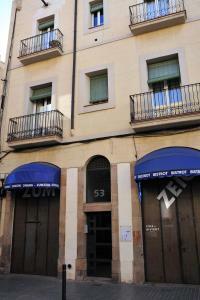 Located next to the apartments, Tarragona Metro Station takes you with the rest of the city. Airport buses leave from Plaza Espanya. When would you like to stay at Apartamentos Bejar? This apartment offers 1 double bed and 1 sofa bed or 2 single beds and 1 double bed. House Rules Apartamentos Bejar takes special requests – add in the next step! Apartamentos Bejar accepts these cards and reserves the right to temporarily hold an amount prior to arrival. Please note that key pick-up takes place at Hostal Bejar, on Calle Bejar, 36-38. Please inform Apartamentos Bejar of your expected arrival time in advance. You can use the Special Requests box when booking, or contact the property directly using the contact details in your confirmation. The place needs a good refurbish or at least needs some new basic furniture and bedding. The thing I did not like is the bathroom, the bathroom itself is ok, the problem is that it does not has good ventilation, it has an small humidity extractor, but it is not enough to remove the humidity after you take a shower, you have to leave the door of the main room open and then open the "patio" window door and still opening all those doors it took more than half an hour to at least reduce the fog in the bathroom mirror. If you do not mind the humidity is ok. The bed was small for two adults and a kid. The sofa bed was too uncomfortable to sleep. Bathroom is not a separate room so all the water from the shower comes in the bedroom... quite unpleasant. Probably a good idea to put bath curtain or something like this.. Everything beside this was more than expected!! The staff is not very welcoming and you have to get your keys at a different direction from where the apartment is, although being in the same street. There was a clear lack of cleaning in the apartment with a lot of dust on the floor. All kitchen appliances were cleaned. There was a typo in the Wi-Fi password at the apartment we got and the manegement didn't bother to change it, altough when I called about it, they knew that the password was wrong. Forget about privacy in this apartment. The showe does not have any door or curtain, so the people lying in bed can see you while you shower. It is Okay if you're going with your dearest, but when you're going with your friends (up to 6 people) it guets a little weird. I will strongly advise the management to put some kind of curtain in the shower. They're cheap, and it would really make a difference. The walls don't have adequate sound insulation. The internal stair is noisy and dangerous. It was difficult to communicate with the person with the keys but we managed. It would have been better to state keys would be at the hostel in a more obvious place on the booking. Once we were checked in everything was clean cool and easy access to an amazing family friendly park even in the evening when it was a little cooler. Close to a mall for needs and taxi for the airport 15 minutes and everything you could want a ten minute taxi ride away, cheaper than a bus for four people traveling together! The bathroom has no door.